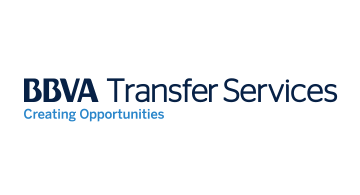 BBVA Transfer Services Inc. (BTS) is a subsidiary of BBVA. BTS has provided money transfer services to Mexico since 1995 and expanded its payment network to Latin America in 2002. Today, BTS offers consumer money transfer services from over 40 countries to over 25,000 payment locations in Latin America. BTS offers processing, monitoring, settlement, and aggregation between originating and paying entities through its proprietary platform. BTS integrates local payment solutions into its product offering to cover the payout preferences of the local market. Our service includes multiple real-time payment alternatives in each country that match the lifestyle and needs of any consumer. Payment options include deposit to account and cash payout at banks, as well as payment through multiple entities with extended access and hours of operation. BTS is an aggregation leader and key player for remittances in Mexico. Processing billions of US dollars every year accounting for over one-third of all remittance payments paid in Mexico, BTS has direct connectivity with the most reputable payment entities in the country. BTS also offers direct connectivity to more than 60 paying entities in Latin America and Caribbean with more than 10,000 points of payment. BTS offers a wide range of distribution options such as cash payout, deposit to account, and payment via ATM networks.